Наукові доробки, розроблені в статті стосуються сегментування процесу розмитнення міжнародних вантажів в режимі «імпорт» за суб’єктами здійснення митного оформлення. В статті досліджено особливості митного оформлення міжнародних вантажів в режимі «імпорт», сформовано послідовність для підприємств щодо здійснення митного оформлення міжнародних вантажів, структуровано пакети документів, які необхідні при здійсненні митного очищення вантажів в режимі «імпорт», що мають надати експортери, імпортери та транспортні компанії (перевізники). А також в статті представлено модель сегментування процесу розмитнення міжнародних вантажів підприємством в режимі «імпорт». Дана модель відтворює операції і комунікації, що розділені між підприємством, роботою митниці на кордоні та внутрішньої митниці з метою оптимізування часу та впорядкування процесу розмитнення. Ключові слова: митний режим; імпорт; оптимізування; митне очищення; митниця; Митний кодекс; брокер. 1. Колесник І.П. Організаційно-економічний механізм митного контролю та митного оформлення товарів/ І.П. Колесник // Матеріали ІІ Міжнародної науково-практичної конференції (Луцьк, 18–19 травня 2017 року) – 2017.. – С. 35-42. 3. Кормич Б.А. Режим зони митного контролю: адміністративно-правові основи [Монографія]/ Б.А. Кормич, Д.А. Біленець - Чернівці Технодрук, 2017. – 180 с. 4. Денисенко С.І. Досвід країн НАФТА у сфері міжнародно-правового регулювання спрощення та гармонізації митних процедур / С.І. Денисенко // Матеріали ІІ Міжнародної науково-практичної конференції (Суми, 18–19 травня 2018 року) – 2018.. – С. 126-129. 5. Крисоватий А.І. Діяльність митних органів у забезпеченні митної безпеки України у сфері протидії порушенням митних правил /А.І. Крисоватий, І.В. Новосад// Науковий погляд: економіка та управління, № 2 (58), 2017. – С. 66-76. 6. Кобушко І.М. Спрощення та гармонізація митних процедур як фактори збільшення обсягів зовнішньої торгівлі держави/ І. М. Кобушко, О.В. Ільченко, С.І. Денисенко // Актуальні проблеми економіки №10(172), 2015. – С. 28-36. 7. Скляр Н.М. Митне оформлення товарів: зміни державного регулювання 2018 р./ Н.М. Скляр, О.М. Ткачук // Актуальні проблеми економіки та управління в епоху глобальних викликів і загроз : Зб. мат.-лів всеукр. наук.-практ. конф., Дніпро, 26-27 квіт. 2018 р. – В 2-х томах. – Т. 1. / Нац. метал. академія України. – 2018. – 390 с. 10. Навчальний посібник / В. М. Голомовзий, Л. А. Панкова, О. Ю. Григор’єв, А. О. Босак, Н. Л. Калиновська, В. Г. Саяпіна. Львів: Видавництво Львівської політехніки, 2004. 240 с.
Activation of foreign economic activity affects on the implementation of customs operations, which, in turn, include customs clearance of goods. In Ukraine, according to the data of the State Statistics Service, import of goods prevails, therefore operations on customs clearance of import goods concern the vast majority of domestic enterprises. However, despite the massive nature of such operations, most enterprises face a number of problems in customs clearance of international cargo, which necessitates a thorough study of this problem and the search for the optimization ways of these processes by enterprises. The dominant purpose of this article is to conduct a detailed research of the process of customs clearance of goods by enterprises in the customs regime of "import" and the structuring of this process by its key subject. The scientific results achieved in the article concern the segmentation of the process of customs clearance of international cargoes in the regime of "import" by the subjects of customs clearance. In the article the peculiarities of customs clearance of international cargoes in the customs regime of "import" are investigated, a logical sequence of the customs clearance of international cargoes by enterprises is created, and the packages of documents necessary for customs clearance of cargoes in the regime of "import", which exporters, importers and transporters should provide, are structured. The article also represents the model of segmentation of the process of customs clearance of international goods by the enterprise in the regime of "import". This model reproduces operations and communications that are split between the enterprise, the work of the customs at the border and the internal customs in order to optimize the customs clearance time. On the basis of the conducted research, the working actions of the participants in the customs clearance of international cargoes in the regime of "import" are clearly defined and separated, which allows clear understanding of the specifics of the work and optimization of processes depending on the enterprise. Prospects for further research should be based on monitoring the legislation in the context of customs clearance of goods the customs regime of "import" and may concern the construction of algorithms of cooperation with customs authorities. Keywords: customs regime; import; optimization; customs clearing; customs; customs code; broker. 1. Kolesnyk, I.P. (2017), “ Organizational and economic mechanism of customs control and customs clearance of goods ”, Zbirnyk tez II Mizhnarodnoi naukovo-praktychnoi konferentsii [Collection of abstracts of the 2nd International Scientific and Practical Conference], Lutsk, Ukraine, 18–19 May 2017, pp. 35-42. 3. Kormych, B.A. and Bilenets, D.A. (2017), Rezhym zony mytnoho kontroliu: administratyvno-pravovi osnovy [Mode of customs control zone: administrative and legal bases], Tekhnodruk,Chernivtsi, Ukraine. 4. Denysenko, S.I. (2018), “Experience of NAFTA countries in the field of international legal regulation of simplification and harmonization of customs procedures”, Zbirnyk tez II Mizhnarodnoi naukovo-praktychnoi konferentsii [Collection of abstracts of the 2nd International Scientific and Practical Conference], Sumy, Ukraine, 18–19 May 2018, pp. 126-129. 5. Krysovatyi, A.I. and Novosad, I.V. (2017), “ The activities of customs authorities in ensuring the customs security of Ukraine in the area of counteracting the violation of customs rules ”, Naukovyi pohliad: ekonomika ta upravlinnia, № 2 (58), pp. 66-76. 6. Kobushko, I.M. Ilchenko, O.V. and Denysenko, S.I. 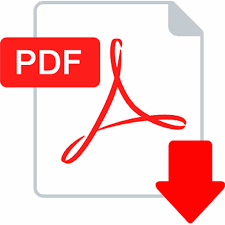 (2015), “ Simplification and harmonization of customs procedures as factors of increasing the volume of foreign trade of the state ”, Aktualni problemy ekonomiky, №10(172), pp. 28-36.